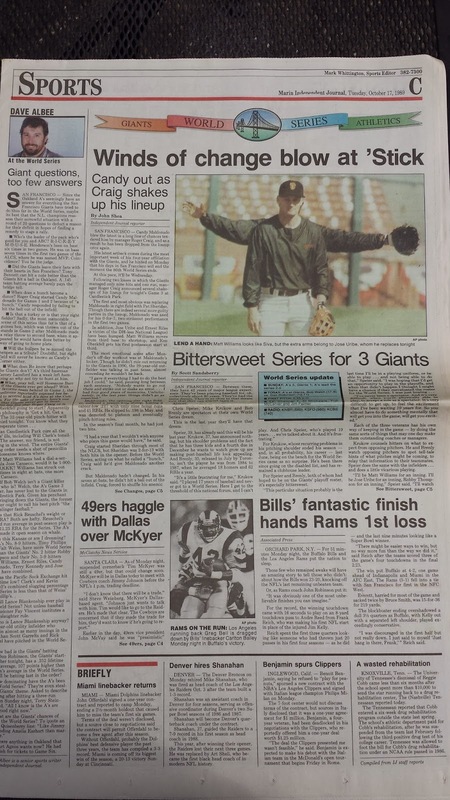 Here's the sports section of the Marin Independent Journal on October 17, 1989, the day of the Loma Prieta earthquake. 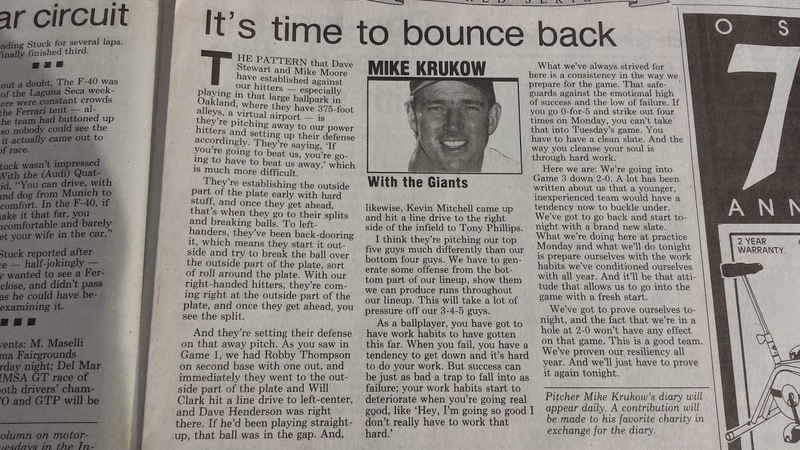 I came home from high school and read this paper in anticipation of game 3 of the Bay Bridge Series. Even then, I noted how the Oakland A's eventual series win over the San Francisco Giants was such a foregone conclusion that the big photo was basically a joke. "Here's the only thing interesting about this series so far, a camera trick." 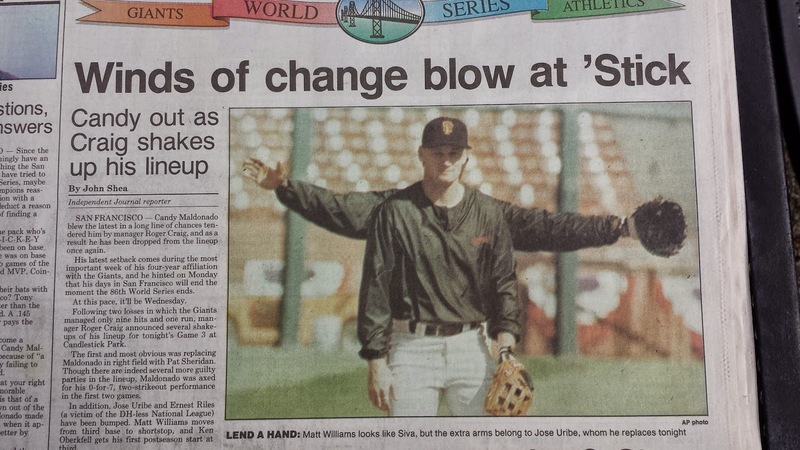 Note the unintentional foreshadowing of the headlines: "Craig shakes up his lineup," "Winds of Change"
On page three, a recurring guest column by a soon-to-be retired Giants pitcher. Wonder whatever happened to him? 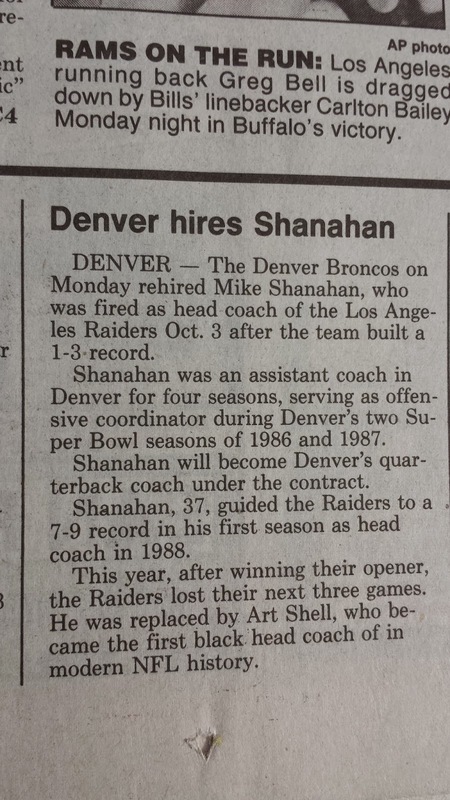 In other sports news pre-quake, the Denver Broncos hired a recently fired Los Angeles Raiders coach. Mid-season, no less. Good luck with that. All pictures by me, of a 25 year old newspaper that's almost been thrown out many, many times.